Please sign the Appeal below to help save the life of Mumia Abu-Jamal. The plan is to send it to the PA state officials when we have a significant number of signers. We need to do it soon, within a week, as a protocol for Hep C is now being discussed by the PA Dept of Corrections and the PA Dept of Health. We need to put pressure on state officials to make any new regulations on treating hepatitis C as strong as possible. 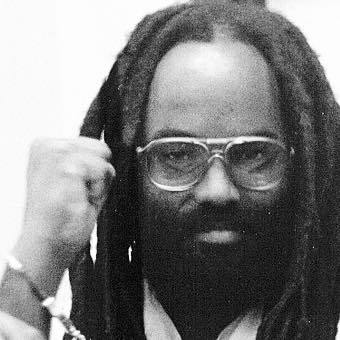 We especially want it clear that they must not deny political prisoner Mumia Abu-Jamal, and the estimated 10,000 other prisoners in PA from being treated with the new direct-acting, anti-viral medications for hepatitis C, which has a 95 percent cure rate. While we want doctors, nurses and other health care workers to sign, we are especially interested in gathering signatures from health care union members and officials. Please ask friends and other contacts in health care if they would add their name to this campaign. As health care workers and professionals, we are responsible for promoting healthy lifestyles, preventing injury and disease, and assuring the safe delivery of quality healthcare for all. This responsibility extends to the healthcare of those held in prisons. Most prisoners eventually return to society. Consequently, inadequate prison health care can lead to medical crises for their families, communities and public medical institutions. In Pennsylvania, prisoners are being denied the human right to adequate treatment of hepatitis C.
For instance, Mumia Abu-Jamal (#AM 8335) has been severely ill with symptoms of active hepatitis C for at least the last six months. According to a private doctor who was allowed to see Mumia in the prisoner visiting room, treatment by the prison infirmary has contributed to Mumia’s many painful, debilitating, life-threatening conditions. He nearly went into a diabetic coma on March 30, which resulted in his hospitalization. But the most distressing of all is that the prison system is refusing lifesaving treatment for hepatitis C, for his painful skin condition, and for anemia. New direct-acting, anti-viral medications exist for hepatitis C with a 95 percent cure rate. Refusing to provide him with this medicine is a case of willful medical neglect, which could, if not addressed, lead to Mumia’s death. By withholding that medication, the Pennsylvania Department of Correction is illegally imposing a death sentence on Mumia. But Mumia is not alone. There are an estimated 10,000 other PA DOC inmates, many of whom are over 60 years old, who have Hep C. Called a “silent epidemic”, hepatitis C has a disproportionate impact on impoverished communities and people of color. A 1997 study estimated that 29 to 43 percent of all people infected with HCV passed through a correctional facility. With the prison population skyrocketing over the last 20 years, these numbers would be substantially higher today. The Federal Bureau of Prisons (BOP) adopted protocols in June 2015 mandating treatment for Hepatitis throughout the federal prison system. The American Liver Society and the BOP have both recommended immediate treatment for everyone but especially for those like MAJ who have “extra-hepatic” symptoms such as the skin rash, anemia and diabetes. Proper treatment for hepatitis C is expensive, but will prove less costly over time than, if left untreated, ministering piecemeal to the related illnesses. The drug war fiasco has resulted in the mass criminalization of communities of color through discriminatory law enforcement policies. In addition, inadequate funding of education has created a school-to-prison pipeline. Refusal to properly treat prisoners’ health care needs compounds the impact of these genocidal policies against Black and Brown communities. Given the extensive evidence of Mumia’s innocence (which was never allowed to be heard in court), wrongful incarceration in solitary confinement on death row for nearly 30 years, his life-threatening medical crisis, and the prison medical system’s failure to diagnose or treat him properly, we add our voices to the international call for the immediate release of Mumia Abu-Jamal. Furthermore, if the DOC refuses to humanely treat prisoners with Hep C, we call for the release of all prisoners experiencing Hep C symptoms, including Mumia, so that they can receive the treatment they are entitled to in accordance with basic human rights and the Eighth Amendment of the U.S. Constitution. As physicians, nurses, medical workers and other healthcare professionals, as well as health care unions and organizations, we urge you to give these issues high priority. Toni Arenstein – RN, BSN, CDE (Certified Diabetes Educator).